I am on my A-game today as my already moody four-year-old has come down w/ a cold suddenly. Some people are sweet when they are sick; she isn’t. I’m her mother, so I can be honest about it! I really have to use my imagination and creativity to entertain this under-the-weather little royal. What can elevate a kid’s mood like ice cream? Absolutely nothing! But we have quite the collection of food allergies in our household, so the ice cream’s got to be crafty, just like everything else around here. It’s got to be dairy-free, peanut-free, soy-free, gluten-free, egg-free, and, of course, flavorful and healthy, too. What a list to fulfill! Good thing I like a challenge! 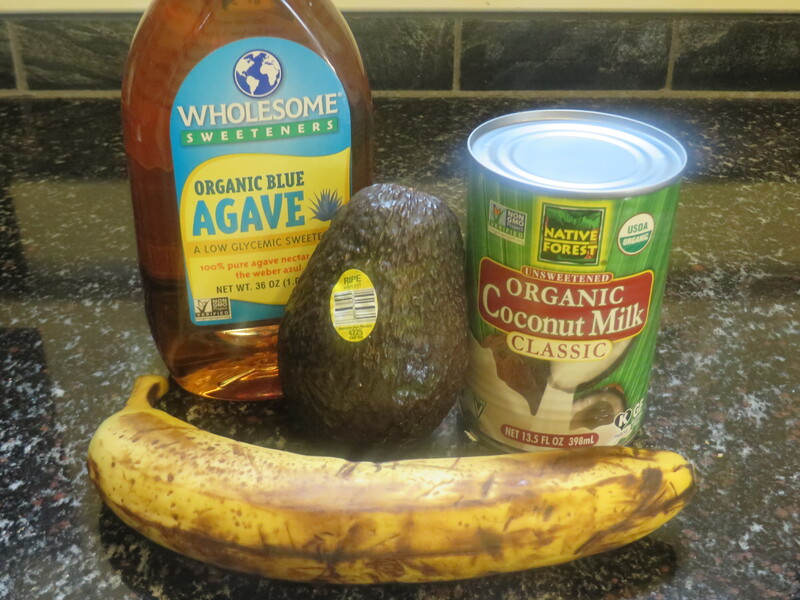 Allergy-friendly ice cream with coconut milk, avocado, banana, agave, ice and your food processor! But I think I did it, and it was edible. In fact, both of my littles – 4 and 2 – gobbled it up and asked for seconds. Because of their enthusiasm, I thought I’d share the recipe here. Please note that as an adult, I thought it was good, but not great. It’s more valuable to me as a nutritional mender as coconut is the main ingredient here and is great to consume anytime, especially when you are sick (antiviral and antibacterial). I think next time I will omit the ice and use way less coconut milk, or maybe even just the formed milk at the top of the can. A food processor or a blender. Add all ingredients into food processor or blender and blend for five minutes, or until well incorporated. Pour into bowls/containers of your choice and freeze for 45 minutes to an hour. You can throw some chocolate chips or nuts on top at serving time, if you’d like. *Note the consistency w/ this ratio of ingredients came out like water ice for us. 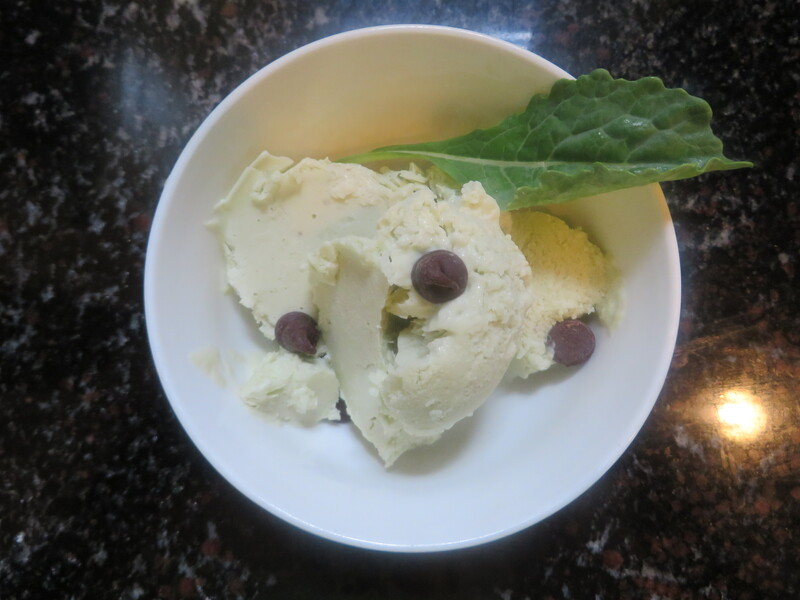 And here’s your slightly green, sneaky-healthy, allergy-friendly, kinda-good-tastin’ ‘ice cream’! 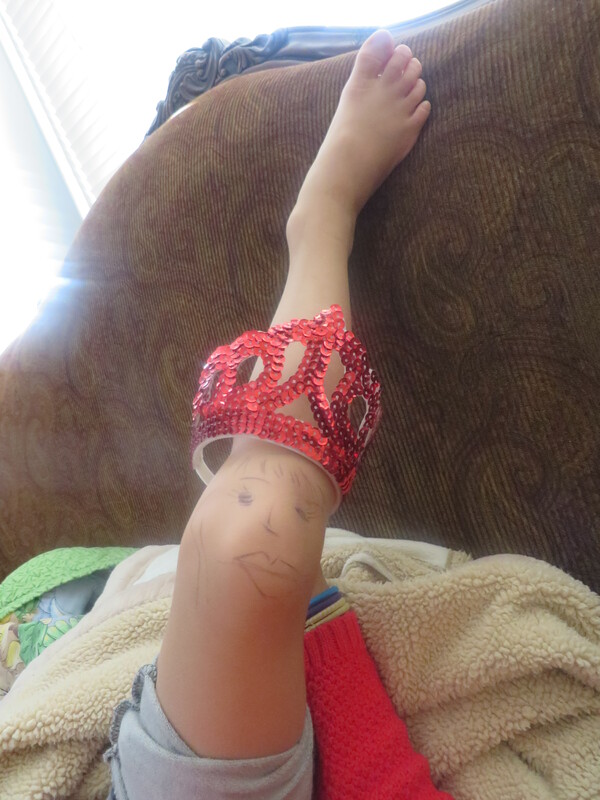 And let us not forget about Princess Knee. This little lady saved us from a major temper tantrum today, so I think I’ll keep her close by! Thank you to Princess Knee for keeping my girl giggling through her sneezes! < Previous Super-Duper Quick and Easy Anna from Frozen Hat Tutorial – FREE! Next > Princess Anna from Frozen Cape Tutorial – FREE!